192 pages. 215x275mm. 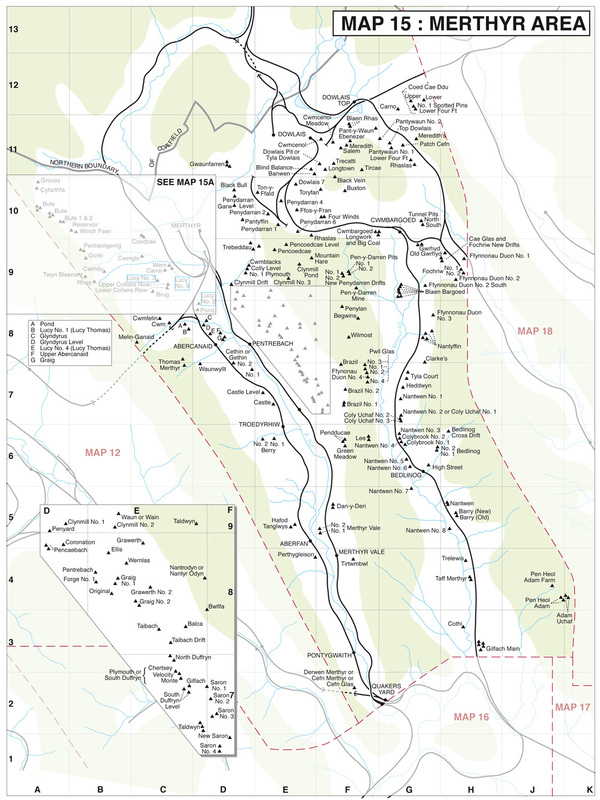 Printed on gloss art paper, casebound with printed board covers. 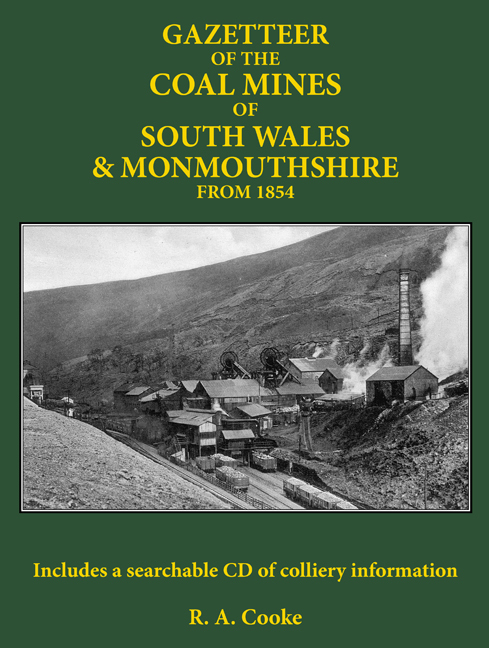 This ground-breaking Gazetteer gives details of all known South Wales collieries on a fully searchable CD included with the book. The book itself contains a series of maps that locate each colliery and a selection of photographs to gave a flavour of the coalfield. The book has been a mammoth under-taking by the author, requiring visits to many reference sources to enable all of the information to be collated together for the first time across an entire coalfield. The information given includes all relevant dates, ownership details and changes, selected output figures and manpower, together with site maps where possible. This is a vital resource that should be useful to both mining and local historians as well as those with a wider interest in South Wales. 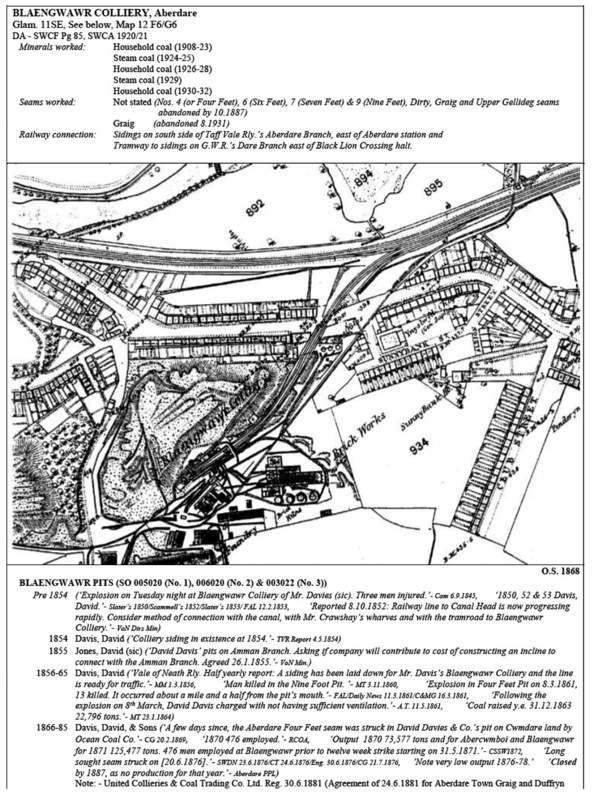 One of the map pages locating all of the collieries.